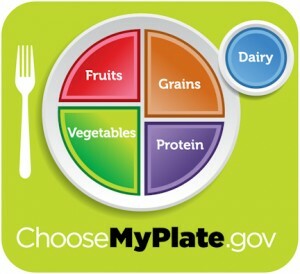 Helpful resources and tools for weight loss and diets, including condition-related diets. Ergonomic principles are then used to make the workplace compatible with the employee, improving the employee’s safety and productivity. In other words, the easier it is to do a job, the more productive and happy the worker will be. At least 70 percent of America’s 30 million elementary school students use computers, according to a recent New York Times article. As a result of this increased usage, doctors of chiropractic are treating more young patients suffering from the effects of working at computer stations that are either designed for adults or poorly designed for children. Many children are already suffering from repetitive motion injuries (RMI) such as carpal tunnel syndrome and chronic pain in the hands, back, neck and shoulders. “Emphasis needs to be placed on teaching children how to properly use computer workstations,” stated Dr. Scott Bautch, of the American Chiropractic Association’s Council on Occupational Health. “Poor work habits and computer workstations that don’t fit a child’s body during the developing years can have harmful physical effects that can last a lifetime. Parents need to be just as concerned about their children’s interaction with their computer workstations as they are with any activities that may affect their children’s long-term health,” added Dr. Bautch. • If children and adults in your home share the same computer workstation, make certain that the workstation can be modified for each child’s use. • Position the computer monitor so the top of the screen is at or below the child’s eye level. This can be accomplished by taking the computer off its base or stand, or having the child sit on firm pillows or phone books to reach the desired height. • Make sure the chair at the workstation fits the child correctly. An ergonomic back cushion, pillow or a rolled-up towel can be placed in the small of the child’s back for added back support. • There should be two inches between the front edge of the seat and the back of the knees. The chair should have arm supports so that elbows are resting within a 70- to 135-degree angle to the computer keyboard. Wrists should be in a neutral position while typing– not angled up or down. The mousing surface should be close to the keyboard so your child doesn’t have to hold the arm out. • The child’s knees should be positioned at an approximate 90- to 120-degree angle. To accomplish this angle, feet can be placed on a foot rest, box, stool or similar object. • Reduce eyestrain by making sure there is adequate lighting and that there is no glare on the monitor screen. Use an antiglare screen if necessary. 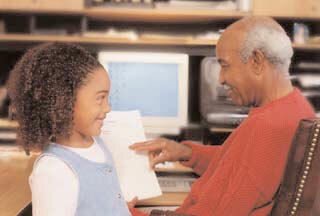 • Limit your child’s time at the computer and make sure he or she takes periodic stretch breaks during computing time. Stretches can include: clenching hands into fists and moving them in 10 circles inward and 10 circles outward; placing hands in a praying position and squeezing them together for 10 seconds and then pointing them downward and squeezing them together for 10 seconds; spreading fingers apart and then closing them one by one; standing and wrapping arms around the body and turning all the way to the left and then all the way to the right. • Your child’s muscles need adequate hydration to work properly and avoid injury. 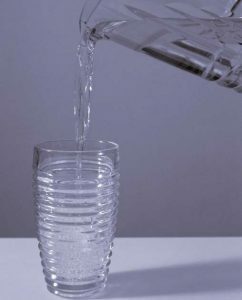 Encourage your child to drink four 8-ounce glasses of water a day. Carbonated beverages, juices and other sweet drinks are not a substitute. • Urge your child’s school or PTA officials to provide education on correct computer ergonomics and to install ergonomically correct workstations. Years ago, Americans walked approximately 12 miles every day. Today, we’re lucky if we can get to 3,000 steps. As a country, we’re not getting enough motion in our daily lives. Fortunately, it doesn’t have to take a lot of time or effort to incorporate exercise into your schedule. If all you can manage is a five-minute walk, do it. Five minutes are better than none. Eventually, you’ll be able to work your way up to 30 minutes or more, and you’ll be taking a big step toward maintaining the flexibility and mobility of your joints. For those on a time crunch, consider taking small breaks from work. Simply getting up from your desk and walking around the office or the parking lot or going up and down the stairs a few times is enough to get your blood flowing and to trigger feel-good endorphins to get you through the rest of your day. You can also think about incorporating exercise into the activities that you enjoy, such as shopping. Next time you take a trip to the mall, walk around the entire perimeter before going into a store. Or you can turn household chores and yardwork into exercise. Consider washing your car by hand rather than using a drive-through car wash. And next time you have to mow the lawn, don’t groan and put it off. Instead, think of it as an opportunity to get in some exercise and work up a sweat. The same is true of raking leaves and vacuuming the living room—anything that gets you on your feet and moving around is going to be beneficial to your health. e a healthy, invigorating experience. And thanks to its convenience and simplicity, walking just might be right for you too. strength, facilitate flexibility exercises, and add variety to traditional fitness routines. posture, improved balance and enhanced athletic ability. Furthermore, the spinal movement induced by using the exercise ball (small range, adjustment of balance) may help reduce pain by stimulating the body to produce higher amounts of natural pain inhibitors. According to the Journal of Strength and Conditioning Research, adding a stability ball to your sit-up and back-extension routine could boost your core stability in as few as 5 weeks. In the study, 30 women performed daily abdominal and back exercises on a stability ball or on the floor for 5 weeks. While tests of muscles that control balance and stability showed nearly across-the-board improvement, those using the ball significantly outscored the floor group. Eating healthy and exercising don’t have to be boring! You can spice up nourishing snacks and get exercise without even realizing it with the following tips. Turn the TV off, and move more. Aim for at least 60 minutes of activity every day. 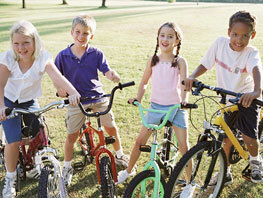 Swim, run, walk the dog, bike, rollerblade, climb trees, play outside with friends—it all counts! • Weight lifting. Ask your PE teacher or an adult to teach you how to do it right, so you don’t hurt yourself. Take turns with a friend to give your muscles a break between repetitions. • Playing a pickup game of soccer or baseball with friends. • Kayaking. Head down to a lake or a river and paddle around. • Jumping rope. Have a competition with friends to see who can go the longest without stepping on the rope. • Dancing. Turn up the volume on your favorite tunes, and invite your friends over for an impromptu dance party. • Rollerblading. Dust off your skates, grab your friends and hit the sidewalk for a tour of the town or bring your hockey stick and join in a game of street hockey. Exercise is often prescribed for patients of all ages to reduce complaints about pain in muscles and bones. But some feel it gets harder to exercise as they get older. 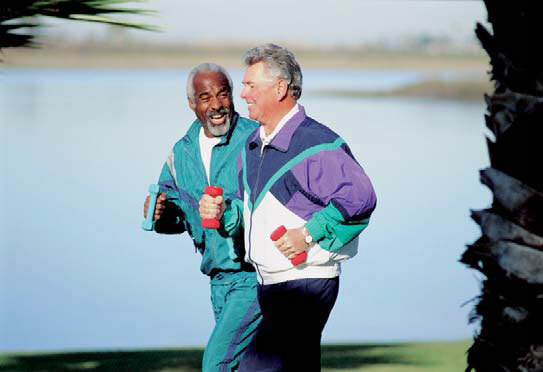 The following tips will help you exercise more effectively as you age, making you feel better. I’ve been inactive for so long. Won’t it hurt to exercise? You can always become as physically fit as possible, given your current health status and limitations. When you commit to a physical fitness program, you will move toward enjoying life more fully. First, pick an activity that you enjoy doing and perform it regularly. Make your exercise program as pleasant as possible. If you feel exercising is a chore, you will be uncomfortable with the program and will quit. If you can, ask a friend to exercise with you so you can support each other. 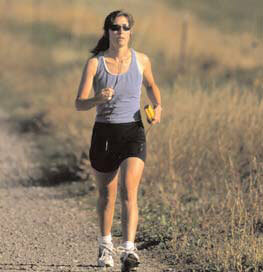 Second, begin your exercise program gradually, starting with five minutes of exercise each day. As you become more comfortable with the routine and notice the positive effects of fitness, you may increase the exercise time. If you have been inactive for some time, you may feel some small aches and pains. They will fade with time. Be sure to tell your doctor if you experience any unusual pain or other symptoms while or after performing your exercises. Check with your doctor of chiropractic or other health care provider before starting any exercise or physical fitness program. While exercise is beneficial to your health, depending on your health status, the type of exercises you perform can have profound effects on your health, both good and bad. Stretching and an active lifestyle are often recommended to help reduce back pain and speed the recovery process following an injury. Improving flexibility through stretching is also an excellent way to avoid future injuries. Depending upon one’s individual injury and level of pain, the exercise and rehabilitation program may vary. The key is to start slowly and increase the repetitions as you feel stronger. Consult with your doctor of chiropractic prior to starting a new exercise program, especially when associated with low-back pain. He or she can help develop an individualized program and provide instruction on proper stretching technique. ected muscle or joint. Stretches should be held for 15 to 30 seconds, allowing the muscles to gradually relax and lengthen. Stretches should never cause pain nor should you feel tingling in the extremities. Stop immediately if you experience any discomfort. Back To Wellness Clinic makes it easy for you to find the weight loss, nutritional & health calculation resources you are looking for. In today’s United States, where food is abundant, affordable and irresistibly delicious, overweight and obesity are now an epidemic. And, as the epidemic keeps growing, weight loss and dieting have become major topics of conversations, media coverage and health care research. The secret to weight loss is simple: Consume fewer calories than the body uses. And any diet that limits caloric intake will do the trick. The problem is, when people go off the diet, they gain the weight right back. That happens because most diets require that we deprive ourselves of certain foods or food groups— and many can’t sustain this for long. Instead, research has shown that people respond better to positive messages. And, with some education, meveryone can learn to form healthy eating habits and pave the way to maintaining a healthy weight and improving fitness. In the past decade, probiotics have become increasingly popular in the United States, but many consumers still don’t fully understand what probiotics are and what effects they have on the body. • The term “probiotics” describes microorganisms or other agents that support healthy flora in the human gastrointestinal tract. Healthy flora help digest food, maintain the intestinal endothelium, inhibit pathogens or perform other useful functions. • There is abundant research on the physiologicaleffects of probiotics-containing foods or supplements, specifically on the use of certain Lactobacillus and Bifidobacterium strains, as well as the yeast Saccharomyces boulardii. • Human clinical research on probiotics has mostly focused on gastrointestinal conditions. • Some clinical studies have shown an intriguing effect of probiotics on the immune function. • Diarrhea secondary to pediatric viral infections, antibiotic therapy or foreign travel has been prevented or reduced in severity in numerous controlled trials. • Four out of five double-blind studies reported benefits to sufferers of irritable bowel syndrome. • Some success has also been reported in the treatment of ulcerative colitis. • Some studies have looked at the effect of probiotics on the immune system, and are showing promising remarks. 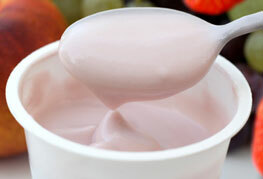 Which foods or supplements contain probiotics? • Probiotics appear to be safe and promising dietary supplements. • While several foods, such as yogurt, kefir and sauerkraut, contain probiotic organisms, their strains may be quite different and in much lower concentrations compared with the supplements employed in clinical trials. • Research has yet to show whether certain strains are superior to others and what the optimal daily intake should be for treatment and prevention of various diseases. • The doses used in studies ranged from two billion to several hundred billion colony-forming units per day. • Many of the exact strains employed in clinical research are not commercially available in the United States, and it is unclear whether similar products would produce equal results. Everyone knows that eating a wide variety of foods is crucial for good health. Modern farming practices, however, have robbed foods of essential nutrients. Refined white flour, for example, contains less than a quarter of vitamins E and B6, magnesium, manganese, and zinc. Supplementation to restore depleted nutrients has become very important, and multi-vitamin/ mineral (MVM) supplements, which provide a range of nutrients in one pill, have been gaining popularity. What should a good multi-vitamin/mineral supplement contain? Compare the supplement label with periodically updated nutrient Daily Values. Vitamins E and K, the ultratrace elements, and bulky ingredients—calcium, magnesium, and potassium—are often supplied in inappropriate amounts. Vitamin A, phosphorus, and iodine are overabundant in the U.S. diet. Extra iron and possibly copper may be potentially hazardous for those who already consume them from foods. Supplements can contain vitamin A as retinol or beta carotene. Beta carotene has a very low toxicity potential and is a better antioxidant. Those with diabetes or hypothyroidism, however, may not adequately convert beta carotene into vitamin A, requiring an MVM with some retinol (e.g., 2,000 international units [IU] a day). Vitamin D deficiency may increase the risk of diabetes, hypertension, autoimmune diseases, certain cancers, and muscle and joint pain. From infancy, 200 IU a day is recommended, rising to 400 IU a day after age 50 and to 600 IU a day after age 70. Individuals with increased risk for osteoporosis may need as much as 800 IU a day. Water is critical for our survival. In fact, after oxygen, it is the second most necessary life-sustaining factor. Under normal circumstances, people can live for weeks without food, but we can only survive without water for a few days. The human body requires adequate water to maintain its function. As we age, we lose a significant amount of water in the body. For example, 75% of infants’ weight generally consists of water, but a 50-year-old female’s weight may consist of only 50% water. Water helps form the fluid in our joints, the mucous in our lungs, and many other bodily fluids. In addition, it is necessary when we exercise or are exposed to high temperatures—the evaporation of sweat helps cool us. The human body strives to maintain balance between the amount of water that we lose vs. what we take in. Thirst is the body’s way to tell us we need water. When the body has too little fluid, it also reduces water loss by making our urine more concentrated. Generally speaking, most of our water loss occurs through breathing, sweating, urination and bowel movements. Abnormalities in any of these functions—for example, diarrhea—can profoundly affect the balance of our hydration. It is also possible that drinking too much water without getting enough sodium and potassium may cause “hyperhydration” or “water intoxication.” Both dehydration and hyperhydration can lead to serious health problems. When we lose excessive amounts of water, or water and electrolytes, such as sodium and potassium, we get dehydrated. We feel the effects of dehydration in many ways, including weakness, abnormal heart rhythms, and fluid accumulation in the abdomen and/or the lungs. In a situation with increased water loss, such as physical exertion, dehydration can happen much quicker. In fact, dehydration can affect an athlete after less than 1 hour of exercise. We are considered dehydrated when we’ve lost 1-2% of our body weight secondary to fluid loss. For example, a 150-lb. athlete who loses more than 3 lbs. may begin to feel the effects of dehydration. If we lose more than 3% of our body weight, we are at greater risk for heat-related illnesses like cramps, heat exhaustion, and heat stroke. For all other situations, call our office for an appointment and follow the instructions below. When is back pain a MEDICAL EMERGENCY? Sit on a soft couch, recliner or in bed. Put heat on your back. Cross your legs while sitting. Keep a wallet in your back pocket. Call the office for an appointment immediately at (507)388-7744. Put ice on your back for ten minutes every hour. Wear the back brace you were given, especially when sitting or riding. Lie in bed or on the couch with your head propped up reading or watching TV. Hold the phone to your ear with your shoulder. Poke or rub your neck and shoulders. Put heat on your neck. Carry a bag on your shoulder. Sleep with your arms over your head. Call the office for an appointment immediately (507)388-7744. Put ice on your neck for five minutes every hour. Carry a handbag on your shoulder. Stand in a hot shower with hot water running on your shoulder and exercise the arm for three to five minutes. After your shower, wrap your shoulder in an ice pack for five to ten minutes. Stretch your arms behind your back. Sleep with your arms above your head. Put ice on your back for five minutes every hour. Bite into anything hard, i.e. apple, candy, etc. Eat anything that requires excess chewing, i.e. steak, gum, etc. Eat anything that requires excess mouth opening, i.e. giant sandwich, etc. Put heat on your jaw initially. Put ice on your jaw for five minutes every hour initially after the injury. More than 50 million Americans smoke. People begin smoking for many reasons—stress, social status, and peer pressure—but the main reason they continue is addiction to nicotine. Smoking is, in fact, so addictive that some people consider giving up cigarettes harder than quitting an addictive illicit drug. People also continue to smoke for psychological reasons. For some, smoking seems to give the hands something to do. Others say it provides comfort. Cigarette smoke, however, contains more than 4,000 chemicals, and, when inhaled, they merge into a tar like substance that sticks to the tissues inside the mouth, throat, lungs, and stomach. The chemicals not only damage the tissues they contact directly, but they also harm the entire body by reducing the amount of well-oxygenated blood that reaches the organs. Smoking affects nearly every organ in the body—heart, brain, stomach, bladder, kidneys, and even the skin. People who smoke also double or triple their risk of developing cataracts. • You’ll live longer and you and your family will live better. • You won’t be winded when walking up a flight of stairs. • You’ll be able to exercise and keep your heart healthier. • You will reduce the risk of developing dementia, such as Alzheimer’s disease. • Your baby will be at less risk of suffering from Sudden Infant Death Syndrome (SIDS). • You’ll have less heartburn. • For men, smoking increases the chances of impotence, so your love life will improve as well. • You’ll also be giving yourself money each month to spend on yourself and not on cigarettes. What happens when I quit smoking? Quitting smoking has many benefits. Within 1 month of quitting, you will decrease your heart rate, the level of carbon monoxide in your blood, and your risk of heart attack. The long-term benefits include reducing risks for stroke; lung, stomach, bladder and other cancers; coronary heart disease, such as heart attack; chronic lung diseases and chronic cough; stomach ulcers; and peripheral artery disease. The risk of your child being born with low weight will also decrease. Within 5 years of quitting, your risk of stroke is the same as that of a non-smoker. In 15 years, your heart attack risk is the same as of non-smokers of the same age. 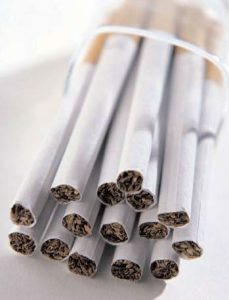 Smoking is a physical and psychological addiction that is not at all easy to break. Most smokers have to kick the habit more than once to finally quit. If you are unsuccessful the first or second time, try again. Don’t see the initial attempts as failures, but as opportunities to find out how not to quit. With a sincere commitment and perseverance, you will be able to quit. When you do, your family, friends, and most of all, your body will thank you for rising to the challenge. Here’s to your being the next non-smoker in America! Vertigo is a type of dizziness. Dizziness is generally described as a floating feeling of instability or unsteadiness. Unlike other types of dizziness, vertigo—an illusion of movement when no movement takes place—is a sign that can be objectively tested. Some patients have overlapping signs and symptoms of vertigo plus light headedness or dizziness. People with vertigo know that the law of gravity prevails, but their brains get confused. They feel like they are tilting in space, or that the world is spinning or moving around them. Nausea, sweating, headaches, vomiting, and fatigue may add to their discomfort. Most vertigo is caused by problems with the peripheral or central nervous system. Vertigo that originates in the peripheral nervous system is often connected with issues in the inner ear. Such causes of vertigo include benign paroxysmal positional vertigo (BPPV), acute vestibular neuronitis, labyrinthitis, and Menière’s disease. Vertigo related to the central nervous system is brought about by disorders of the brain or the spinal cord. Acoustic neuroma, migraines, and multiple sclerosis are included in this category, as is cervicogenic vertigo. Cardiovascular problems such as vertebrobasilar insufficiency are among vertigo’s many possible sources, as well. well as antineoplastics such as cisplatin and carboplatin. Metabolic issues—such as diabetes mellitus, hypothyroidism, high blood triglycerides, hypoglycemia, and food allergies/gluten sensitivity—can also cause or worsen vertigo. Other patients’ vertigo can be traced to motor vehicle accidents, falls, or work-related and other types of traumas or illnesses. To diagnose the cause of vertigo, your health care provider will perform an examination, including a variety of positioning tests, to check if they will reproduce the sensation of motion. Other tests may be necessary, as well. About 65 percent of vertigo is caused by BPPV—a result of calcium debris in the inner ear. The Epley maneuver—a procedure in which the patient is rapidly moved from lying on one side to lying on the other in order to move the calcium debris to a less-sensitive location in the inner ear—helps the majority of patients with BPPV. Studies show that up to 80 percent of patients recover after a single treatment with the Epley maneuver, and most BPPV cases respond to two to three Epley treatments. BPPV, however, has a tendency to recur. About 15 percent of patients will experience BPPV again within 12 months of the first episode; in 20 percent, BPPV comes back after 20 months, and in 37 percent, after 60 months. In addition, the Epley maneuver is contraindicated in patients with severe carotid stenosis, heart diseases, and severe neck problems, such as cervical spondylosis with myelopathy or advanced rheumatoid arthritis. Even without treatment, BPPV tends to resolve in weeks or months. Your doctor can also recommend vestibular rehabilitation exercises (called the Brandt-Daroff exercises after the name of their inventor) for you to perform at home. Each exercise position should be maintained for 30 seconds if there is no vertigo—or for 30 seconds beyond the point where the vertigo stops. 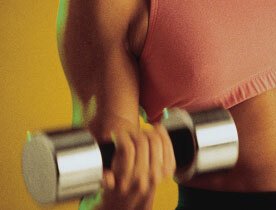 The exercises should be repeated five to 10 times and performed three times a day for four to six weeks. Treatment for vertigo caused by other conditions depends on the individual case. Ménière’s disease patients, for example, can benefit from a low-salt diet. Treatment for vertigo associated with migraine headaches should include dietary changes, such as reduction or elimination of aspartame, chocolate, alcohol and caffeine. A regular program of exercise, reducing stress, getting adequate sleep, and performing vestibular rehabilitation exercises can also help reduce symptoms. Vestibular neuronitis and labyrinthitis, which are often attributed to viral infections, can also be treated with vestibular exercises. In chronic or seriously disabling cases of vertigo, a short course of vestibular-suppressing medications can help provide temporary relief. Working with your doctor of chiropractic to improve postural issues can also bring relief to patients whose vertigo is exacerbated by a sedentary lifestyle or working in certain positions for extended periods. Flexed positions—such as those assumed by dentists or dental assistants—can compromise extensor muscles and cause postural imbalances, which may result in vertigo. To restore balance, volleyball, basketball, and other sports involving the extensor muscles may be helpful. In patients with cervicogenic vertigo, a general ergonomic assessment of work and life activities can help identify contributors to the problem. A balanced diet can provide nutrients necessary for proper function of organs and restore nutrient imbalances, some of which may contribute to vertigo. • Vinpocetine may help balance the sodium channel in the brain and prevent inflammation. • Vitamin B6 has been shown to be effective with nausea and may also help with vertigo. • Ginkgo biloba has been shown to reduce vertigo symptoms in a few studies. • Fish oils improve the cognitive function and may also be helpful—especially when vertigo is caused by a brain dysfunction problem. • Chromium (at least 200 mcg a day) may be helpful in patients whose vertigo is caused by a blood sugar imbalance. Good dietary sources of chromium are brewer’s yeast and barley flour. Refined sugars, white flour products, and lack of exercise can deplete chromium. Excessive stress exacerbates many conditions, and vertigo is no exception. Physical exercise and meditation, adequate sleep and other stress reduction techniques can all help contribute to recovery from vertigo and should be a part of the treatment regimen. Your doctor of chiropractic can help create an appropriate exercise program for you and counsel you regarding healthy lifestyle and stress relief. Back to Wellness has a 40 year tradition of effectiveness and patient satisfaction for the residents of the North Mankato/Mankato area. Copyright © 2019 Back To Wellness Clinic. All Rights Reserved.